There was a bird that came often to my jelly dish. It taller/thinner than a cardinal. But it had a cardinal's tail feathers. It was gray and might have had a darker marking on its head. Can anyone help? Can you clarify? It had red tail feathers? Also location can help a ton. 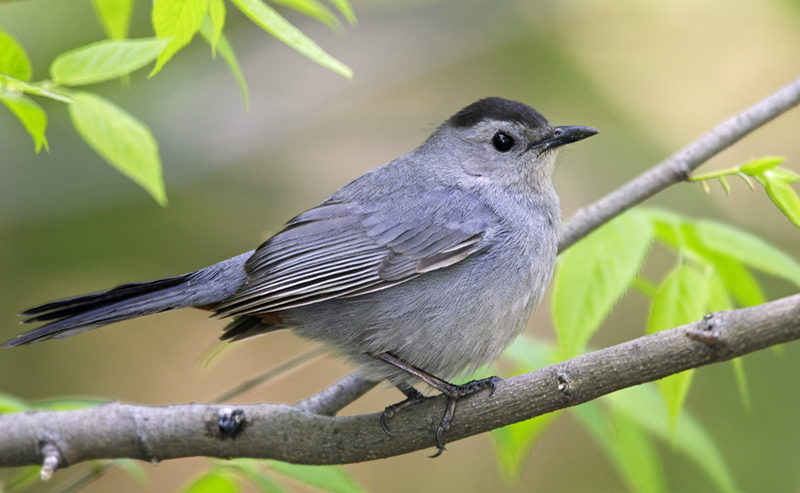 Try Gray Catbird though. Or female Northern Cardinal. The location was Southern MN. It was all a darker gray with a slightly darker mark on its head. We get indigo buntings here for a brief time...fyi. 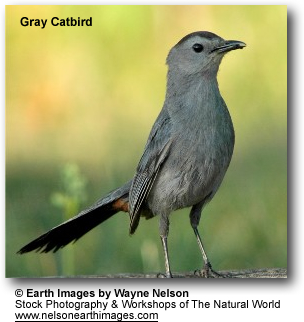 Here's a Gray Catbird... can you describe the beak and any other mark you remember relative to this bird? Sadly, I had it identified...and have since forgotten. It recently came up in conversation. Definately not a catbird. Way less plump and much taller. Also the mark on the head was much more subtle. Classic "I'd know it if I heard it" scenario. What was the color of the tail? Long shot on the beak... maybe like a robin. Tail same gray as body...shaped sort of like a cardinal. Not hermit...color is all wrong. It was gray. Nope, sorry. Darker gray & smoother overall. It wouldn't be nearly so Arrrrrrr if I hadn't known it previously. [Refer to previous thread]. Hmm...I can't think of any other gray birds that might visit a jelly feeder...except for maybe a young Canada Jay (formerly Gray Jay) which I would think would be very unusual for your location. I surely see your point. Yes, it's pretty close. But not what we came up with previous. From your point of view it could be mission accomplished...I would understand. The indigo buntings are rare here too, but I had seven of them on my rock patio this year...all at once. What else eats jelly? A young Baltimore or Orchard Oriole maybe, not yet molted into full adult plumage? Yeah I was thinking young Baltimore Oriole as well. Makes sense to be visiting a jelly feeder as well. They have lots of plumages, so make sure to look through lots before you're sure! What about a juvenile European Starling...they are a drab gray and in my experience with them, they will eat almost anything. The gray bird was here this summer.